These are made using real Texas Western or Eastern diamondback rattlesnake rattles. 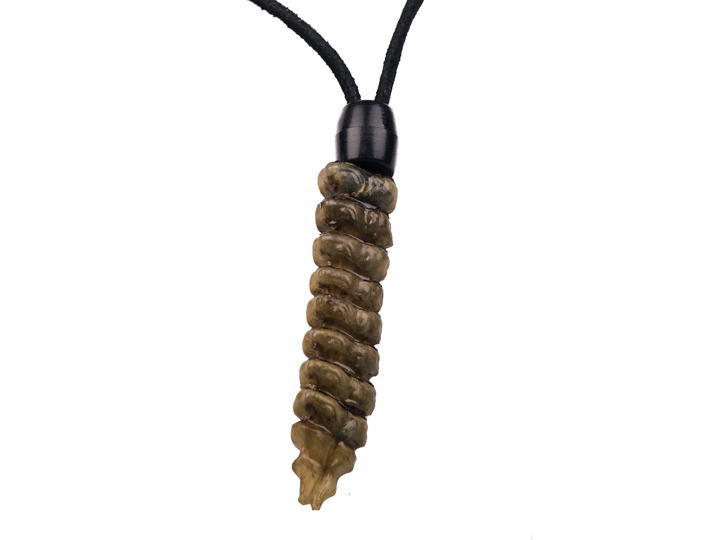 The rattle is hung on a black or brown leather cord with a black plastic bead. The rattle is approximately 2.5" long and 0.5" wide and has at least 8 or more segments. The length of the leather cord is 28" long. Each necklace weighs approximately 0.1 oz. Please note that the rattles are lightly coated with polyurethane to add shine. 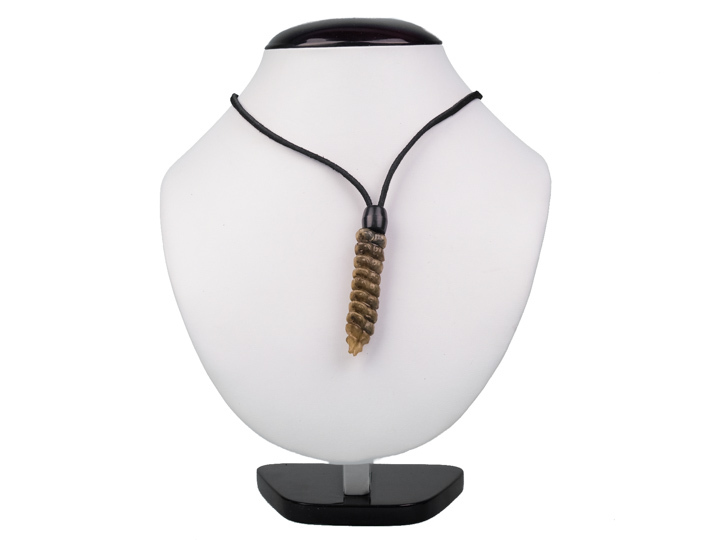 These rattlesnake rattles are natural, not manufactured products. While on the rattlesnake, the rattle can be dragged along sand and rocks as the rattlesnake slides around the desert. As such, please understand that sometimes a button or 2 can be cracked or broken. Genus and species:Crotalus adamanteus. Wild. Eastern diamondback rattlesnakes.